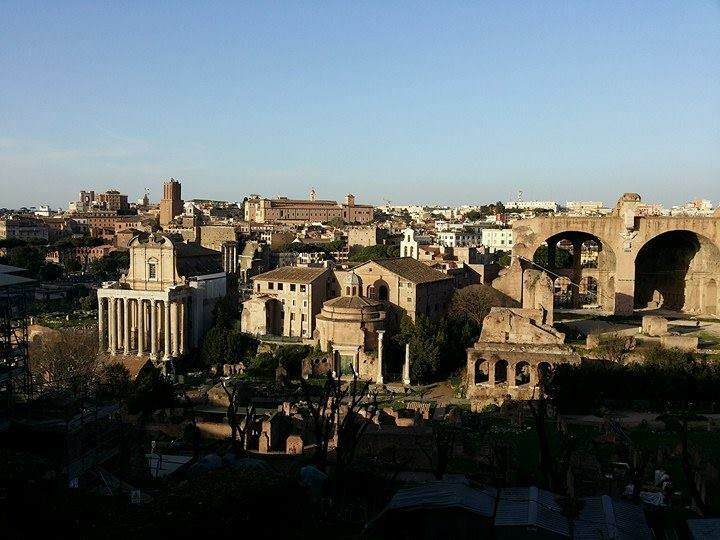 The sun rose behind the hills of Palatino lighting up the “Urbe”, in the landscape the Coliseum appeared. There is a real point where all the roads leave or arrive: its name is Miliarium Aureum. Used to compute distances, Miliarium is a milestone, placed in the confluence among Via Sacra, Vicus Argentarius and Vicus Iugarius, in the lowest area of the Roman Forum. It was the ideal meeting point in the ancient world. Via Sacra was one of the main streets, crossing the consular road Appia in the southern Italy, it continued to Brindisi, where was located the connection with Greece and Asia. Vicus Argentarius flowed to Northwest and Aurelia road, which brought Roman citizens to Pisa and, on the route to Narbonensis (South of France), lead to Terraconense’s region (Spain). The third road was Vicus Iugarius to the Northeast, reaching Flaminia and Salaria, then Raetia and Norico, ancient region located in modern Germany and Austria territories. Europe had its core place, a stone crossroad from the capital city to the regions, destination for all the population of the Empire. In the same scenario the 25th of Match in 1957, at the top of Capitoline hill, Adenauer, Segni, Spaak, Pineau, Luns, Bech had the meeting, few meters above the famous milestone, as representatives of Germany, Italy, Belgium, France, Luxembourg and Netherlands. After many years of war and conflicts the moment to change had come. In an evocative frame, European Economic Community was being born. The Treaty of Rome could not have had another appropriate location than Capitoline Palace, neither more solemn. The launch of an ambitious project happened in the perfect place to reach the entire continent, from the heart to the further terminals of Europe. Founders declared the willingness to ensure a close Union among people and countries, strongly determined to work jointly for peace, social wellbeing and economic growth, deleting the barriers that divided Europe for long time. Economic Community meant building resistant roots to allow Europe a future of prosperity and an expansion to other countries with new perspectives. The four pilasters of the Community were free movements of goods, freedom of movement for workers, right of establishment and freedom to provide services, free movement of capital. Concretely they proceeded with the abolition of internal import and export duties, the sharing of agricultural policies, commercial policies and transports policies. The agreement established also a social European fund and the European Investment Bank1. Sixty years ago was even the birth date of a political union, structured as a triangle, the Commission was at the highest corner owning the executive power, instead the basis were the Parliamentary Assembly with a consultative role and the Minister Council had the assignment to make proposals to the Commission. In Rome was founded also the European Court of Justice. << European Economic Community lives and succeeds only if, for all its existence will keep the solidarity spirit, which had allowed its birth, and if the joint willingness of the new developing Europe will be stronger than national feelings>>. Sixty years have passed, basically an age, the world has changed and Europe has made improvements, but also bad choices. The recent hard period, beginning from the 2007 with the economic crisis and the interruption of the European constitutional path, lead us to a critical point. At the horizon, uncertainty and turbulences are visibly related to the new rising of nationalists and populists ideology. Present scenario is full of unsolved questions such as public safety and the contrast to terrorism, or the political, economical and social pitfalls, including unemployment and poverty policies. A particular attention is deserved by the divergence among the member states and the difficulties to make common agreements. Which could be a good recipe to overcome all these obstacles? Someone seems convinced to reverse going back to the past. Is it possible? Even though is early to give a technical opinion about results and consequences, Brexit demonstrated the possibility of a reverse process. This is an absolute news, now it has become reality! A different topic is the Euro currency reverse process, Mario Draghi, European Central Bank President has defined it impossible, unless a country does not have enough resources to pay for all the open positions with the EBC2. It seems hard, though, for each European state not prepared to risk its existence. Others look forward for a common future, with different views, shapes and ideas. Moreover European institutions have synthesized with some documents their strategies to lead next years Union challenges, the term given is 2025. The most significant essay is the “Five Presidents report”3published in 2015. It is a wide analysis written together by Juncker, European Commission President, Donald Tusk, European Council President, Dijsselbloem, Eurogroup President, which is an assembly made of all the Eurozone Finance Ministers, Mario Draghi and, to conclude, Martin Schulz, ex President of European Parliament. The report explains three different phases to deepen and strengthen the European route, with a specific focus upon the Monetary Union. In 2015 they chose ambitious goals, beginning with a closer coordination among the members and a higher fiscal, accounting, financial convergence to the realization of a complete economic union in the following 10 years. One of the main themes was combating unemployment, unfortunately it was a good abstract debate lead by ideas like labour market simplification, taxes, fiscal and economic growth incentives, measures to facilitate investments for firms, focus on productivity and competitiveness. 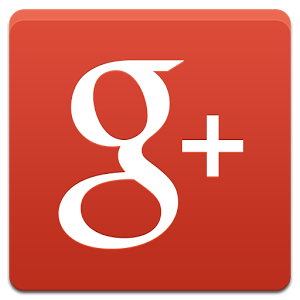 A list of interesting purposes, the problem was the lack of quantitative and practical actions. Therefore we can mention only Juncker Plan, the allocation of 25 billions of euro (October 2016) to stimulate investments around 138 billions, according to ilSole24 data, equivalent to the 44% of the initial expectation for 2018. The unemployment inequality is still dramatic in Eurozone, regarding to Eurostat February data, it is possible to compare for example Italy (11,5%), Spain (18%), Greece (23,1%) unemployment data with Eurozone aggregate (9,5%), Germany (3,9%), Czech Republic (3,4%)4. Another key aspect is the crisis and shocks preventive discipline. Since the period 2007-2013 many of the institutions efforts have been focused on this subject, many problems have been solved or reduced, a serious path of sharing has been undertaken about public accounting procedures, policies against crisis and risk management. New European control authorities have been created to rule European bank, insurances and financial sectors such as EBA (European Banking Authority). Furthermore, the regulation process has been improved and it has been created a Single European Rulebook to simplify the discipline. The trend was clear, Eurozone was building a Banking Union with European Central Bank as a unique regulatory authority. This happened for the main banks. The route to follow seemed to be similar against risks in banking, insurance and financial sector, organizing dedicated authorities, currently realized but not yet with a sufficient power to act properly. The aim was to reinforce European financial system giving stability and resilience even for the hardest time leading to a more trustable and consistent European economy. The central points where European Union improvements have been locked are the attempts to constitute a European fund of deposit insurance to face banking crisis, still belonging to the single countries’ competence, and financial risks policies5. An important proposal was to begin a path to achieve the union for the market of capital too. It was a way to facilitate financial demand and supply for European firms, to make safer the operations, to reduce risks and to substitute national authority with European ones. Great differences among the national financial systems were and still are a hard limit. Some countries have a market-oriented system others are, instead, a bank-oriented system. The step was too long, nowadays it seems not possible to keep that route and achieve any positive result, not without an increase in democratic legitimation and without a front role for the parliament. The needed convergence must be respectful of the typical context of each country, not only a centralisation. A multi-faceted discipline is the solution to protect the peculiarities, even when stability and confidence are required. A federal Europe represents the future. 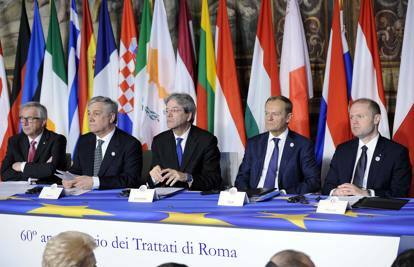 The “five presidents report” predicted an intermediate checkpoint to analyse the status of the policies in 2017, concurrently with the celebrations for the Treaty of Rome anniversary. The job to update the strategies and the discussion was given to Juncker, who published his White paper in March 2017. However, 2016 has completely revolutionised each forecast or project. English referendum and Brexit win has brought confusion and has turned upside down each strategy. Europe today is hurt, weak and victim of scepticism. This is more evident looking at French vote and at Europe problems facing Polish government pressures. Meanwhile, terrorism and migration crisis are undermining all the European convictions. By the way, Juncker report has arrived in March describing a total different context. The President of European Commission does not refer to the long planning act of 2015, he shows 5 possible scenarios to explain and understand next years’ possible European developments. The main issue now is not how to overcome economic crisis, it is not only a matter of economics or finance. The discussion must start from the four essential freedoms. Core of the European history, the freedom of movement for workers and for people is criticized because of the ease of moving for terrorists among borders during the recent attacks. Besides migration flows have led Eastern Europe countries to adopt hard policies, building walls at the borders and imposing strict checks. Also the growing popularity of protectionist policies in the global public opinion represents a risk for the freedom of mobility of goods, services and capital. A signal is the position about it of the American President Donald Trump. Hence, Juncker presents 5 scenarios with meaningful titles: “Carrying on”, “Nothing but the single market”, “Those who want more do more”, “Doing less more efficiently”, “Doing much more together”. It is not excluded a jointed scenario between two or more of the previous shown. Looking at the first one, “Carrying on”, it seems hardly bearable78. Present Europe does not have a clear project directed to a well-defined route. Europe is living a crisis for various motivations and responsibilities from many sides. Therefore, this scenario is unreal. The report describes a Union which carrying on with the status quo could focus on unemployment policies, economic growth and common market. How can it be ignoring critical questions that are basically this period of uncertainty causes? Is it realistic and possible to have a Europe blind as to migrations, terrorism, safety and political tension? Could Europe survive just passing the buck to the single countries? The second perspective appears as the perfect consequence of the first one, in fact the lack of cooperation about key aspects lead to a system consisting of the Common Market, at least at the beginning. Running back to past and cutting previous point of agreement could bring even to more instability, what is more it is not safe to keep alive an Economic agreement in a continent in the grip of tension and unsecure. Going back is not possible. If Europe turns in that direction, this could give unexpected results and no predictions are reliable. Juncker admitted the existence of a risk, renouncing one by one to important fields of European discipline too. Considering the third scenario “Those who want more do more” the impression is to live a throwback to the first hypothesis, apart for a difference: the description is more realistic. Today we already have a Eurozone made of 19 states, a Europe of 27, a Schengen area with 22 members and other agreements on the customs. This could be the easiest way to solve some hard problems, even because it is not credible to have now a coalition of 27 countries in all the subjects. The last consideration explains all about the fifth scenario. In Rome declaration of the 25th-March 2017 Poland and Greece have interrupted and put a veto on some decisions asking for a soft discipline. Who will be the next one? “Doing less more efficiently” is another possibility (consistent with the third too). It is not the first best, but clearly a mediation to save the relationship among EU countries, defending union cornerstones and most important, preserving peace in Europe, which has never been in such a danger recently. The President of Commission’s objective was to pull the trigger and let the discussion about many relevant themes start, therefore the materials are enough to reflect and debate. 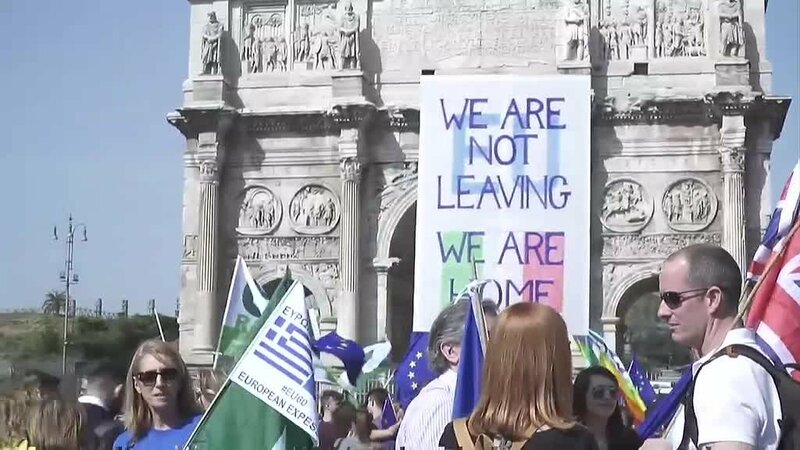 The atmosphere in Roman celebrations could lead finally young and old people, politicians and citizens, again together to talk and share ideas about Europe and about the future. While new proposal from institutions about social policies and the updating of national accounting rules are queuing, it is the right time to give space to the public discussion. 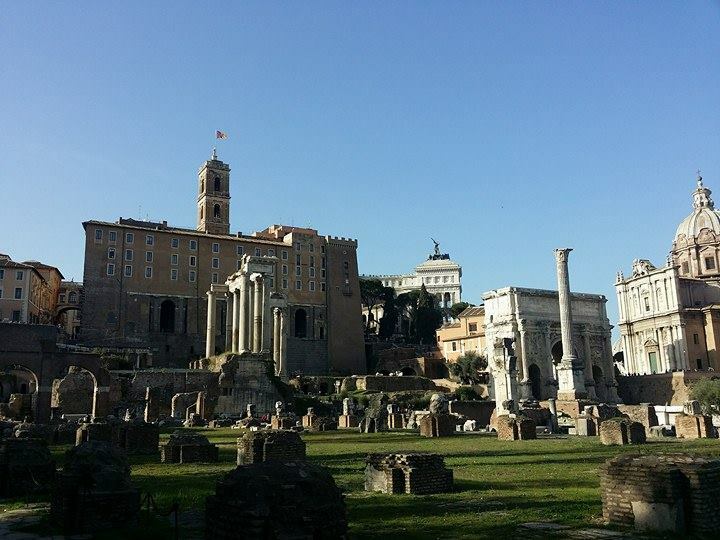 In Rome, a sharing political and economics-related ideas city interested about its future has come out again after long time, not only in Capitoline buildings, even more in the squares and the streets of the centre. There, crowds of people showed that Europe is still alive and look further than present pitfalls. Once again, just for a week, Rome has been again the centre of the world. 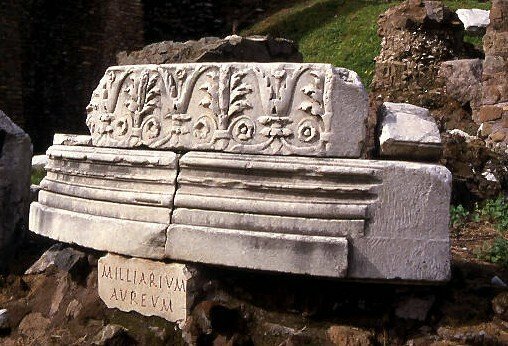 All the roads led to Rome even now, Miliarium Aureum could represent the perfect guide to meet again and reach a good partnership among European countries. The hope is to start again a real discussion about a concrete common project, a revolution as sixty years ago, to revive key themes such as European safety, a parliament able and with the power to represent a federal union9, climate changes, migration policies and a fiscal system balanced among the states. “United in diversity”10 actually.